Via Sheth is based in San Francisco area. She is originally from Mumbai, India, a city which never sleeps and boasting of some best food from all over the world. Via is a very passionate cook. She has an interest to always try out new dishes and learn from tasting different cuisine. 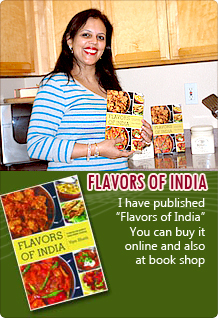 Encouraged by her family and friends, Via has recently published her very first cook book called Flavors of India. The book depicts not only the vibrancies and diversity of Indian culture but also the flavors that go with that. 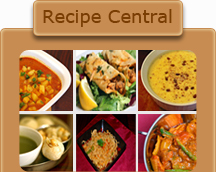 The website is a continuation of the journey and a way of communicating, sharing ideas and recipes that will inspire the culinary talents of a person.